It’s less than a week until Avengers Infinity War is released, so thought I’d write up some predictions I have based on the marketing and pre-release material. However, I have been on a bit of media blackout for Avengers Infinity War since the final trailer was released, so some of this may have already become apparent in the new marketing / promo clips – but I haven’t watched them. 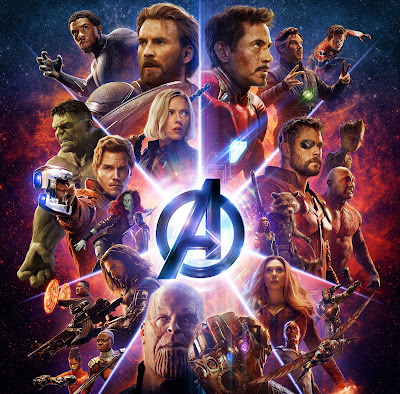 I don’t think that many characters will actually die in Infinity War, I know it’s being hyped and I think a lot of our heroes are going to be (seriously) defeated, but I’m beginning to think only a few will actually die. I think this would actually have more emotional impact, rather than the majority of the characters falling and it beginning to feel like cannon fodder. I think Loki is going down and relatively early in the film. We know Loki has the Tesseract (which holds the space stone (blue)) and Thanos is coming for it (his ship arrives in the Thor Ragnarok end-credits). I suspect once Thanos gets it, it’ll be bye-bye Loki. As Loki is a fan favourite, this will have a significant impact early in the film and will show Thanos means business. Vision seems like a sure thing too, however I don’t think this will be early in the film, I think he will get attacked whilst with Scarlett Witch, however Captain America, Falcon and Black Widow will save them. These 5 will then go to Wakanda for protection, which is why Thanos’s armies are attacking it in the trailers. I think Thanos will get the mind stone (yellow) and that’s Vision gone. As for the big 3 heroes (Iron Man, Captain America and Thor), I actually don’t think they will all die. If I was a betting man, I’d go with Captain America. I think Tony Stark will survive and live to see his greatest fear of his friends being defeated. Thor seems to be quite separate to Thanos (as he’s off with the Guardians) so I think he’ll avoid direct danger. We know from the trailer Steve Rogers comes into direct confrontation with Thanos and this can’t end well for Cap. I think some of the lower tier characters will also see their twilight, The Collecter has to be out of the picture once Thanos gets the Reality Stone (red), and I can’t imagine they’ll be much left of Xander or the Nova Corps when Thanos gets the power stone (purple). As Spider-Man, Black Widow, Doctor Strange, Black Panther and the Guardians of the Galaxy mostly have sequels announced, then I’m going to say they’ll all be ok. They may die, but I think it’ll be inevitable they’ll be brought back to life at some point (Avengers 4 maybe?). Firstly, I think the marketing has been very clever in what they’re showing of Thanos with the stones in the Gauntlet. They’ve clearly made a decision to only show the blue and purple stones in the gauntlet. This is on all the posters and in all of trailers. Therefore I believe there are shots in the trailer where I think Thanos will actually have more stones in the Gauntlet at that point in the movie (remember what they did with Thor’s eye in the Ragnarok trailer). This picture is a clear example, I think at this point in the movie he’ll also have at least the red stone in place. The main theory is that the movie will open with Thanos getting the Power Stone (purple) on Xandar, this makes sense as in the trailer he has it before he gets the Space Stone (blue), which I believe he’ll get second when he attacks Asgard (the ship). This will result in Hulk being thrown back to Earth, Thor flying into space (and meeting the Guardians) and Loki’s death. I think Thanos will then head to Knowhere, where he will proceed to get the reality stone (red) from The Collector, and then move onto Earth for the Time Stone (green) and Mind Stone (yellow). However, this is the bit I’m not exactly sure on what order he’ll get them. I think when Thanos goes to Knowhere he will send the Black Order to Earth, two of them will go to New York to get Doctor Strange, the other two will go after Vision. In theory the quest to get these 3 stones could happen con-currently. I suspect Thanos will get the stone from the collector first, however I think both sets of the Black Order will fail resulting in Vision being taken to Wakanda and Doctor Strange maybe on Titan? Thanos will then come to Earth for the remaining stones in person. There’s a popular theory that the Soul Stone (orange) is in Wakanda, most likely within the meteorite that crashed on Earth. So although Captain America and the rest of the group take Vision there for protection, I think they will have accidently put two Infinity Stones together. Therefore the big battle for Wakanda will essentially be The Avengers defending two of the Infinity Stones. We know there are sequences on Titan, but I’m not really sure why yet? Maybe the soul stone is actually here (and the above theory is wrong), or it could literally be the last act of the film where all the heroes group to have one last stand. We know Doctor Strange is here, so again maybe Thanos is here for the time stone? Whatever happens I think Thanos will succeed in getting all the Infinity Stones, he has too right? This will result in the majority of the Avengers being defeated (not necessarily dead). 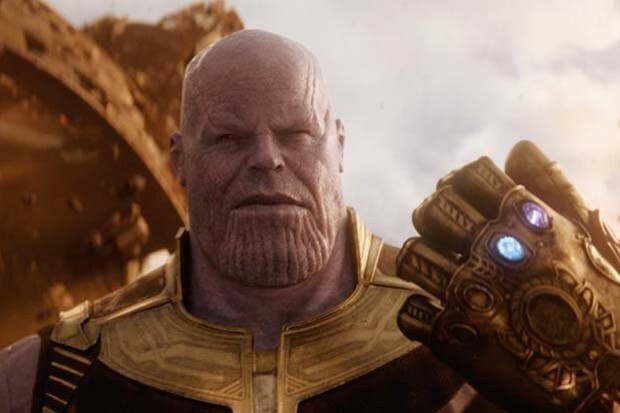 I have a theory the movie will end with Thanos having a completed Gauntlet and clicking his fingers, resulting in half the universe disappearing (basically what happens in the comics). As I believe Avengers Infinity War is really still Part 1 of a bigger story and therefore won't have a neat and tidy ending. 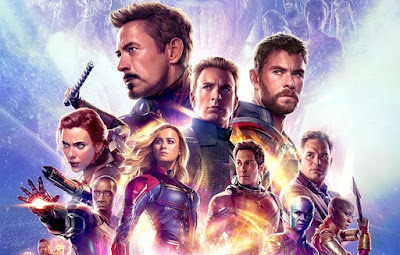 Although it might not end on a cliffhanger, the story will not be resolved / completed until Avengers 4. I think the film may open with a flashback to Thanos destroying Gamoras family and home. Marvel like the old flashbacks and set ups. Im not so sure Vision will die. I think Shuri will find a way to remove the infinity stone from his head allowing him to be free from it. I can see Cap dying along with Loki at the start definitely but I also think Nebula will die too.